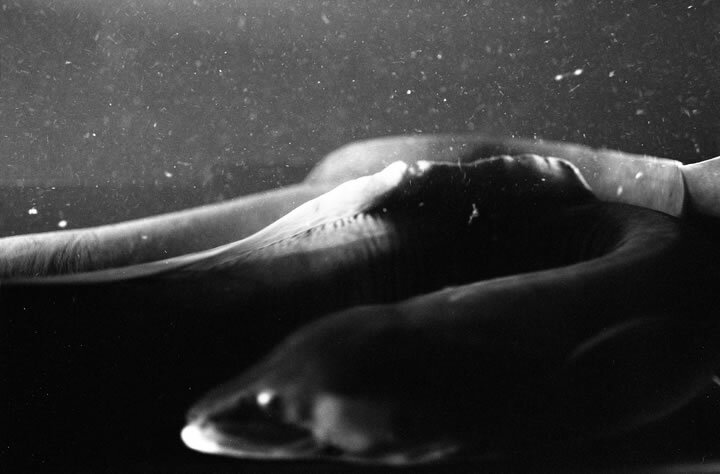 New Zealand artist Joyce Campbell presents two recent series of photographic works that explore the history, mythology, and ecology of two sites: one located on Maori tribal land in New Zealand, the other a brown-field in Los Angeles. Te Taniwha explores Lake Waikaremoana, in Te Reinga—situated on Ngati Kahungunel tribe territory—and follows the quest to find two ancient snake-like water species: the Taniwha and the giant longfin eel. A place of great historical significance, where mid-nineteenth century colonial wars were fought against English occupying forces, Te Reinga remains a contested space where land, water, beach and forest rights are continually sought and fought over. In addition, Lake Waikaremoana has rich and layered mythological associations, whose fantastical sea creatures are believed to have spawn, the Ngati Kahungunel tribe. Crown Coach Botanical series, made on-site also using nineteenth century ambrotype techniques, documents the botanical specimens growing in a polluted industrial site in downtown Los Angeles known as the Crown Coach brownfield. 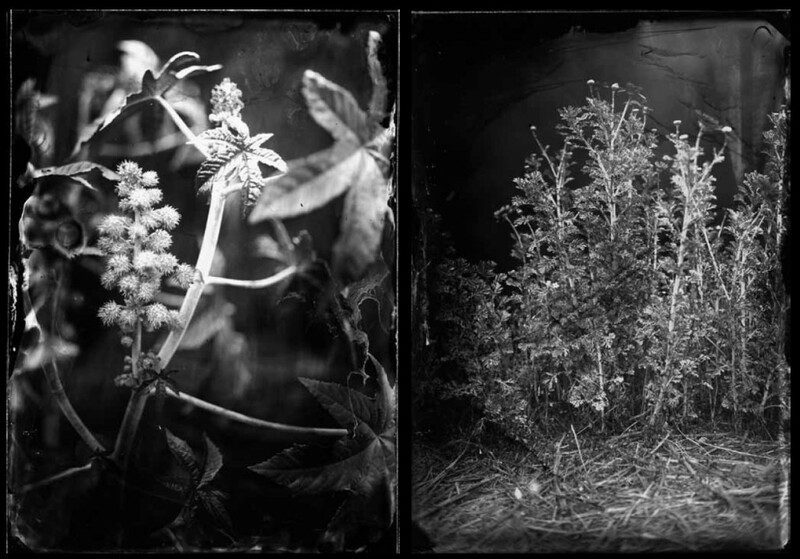 Part of a larger series titled “LA Botanical” Joyce Campbell uses these ambrotypes to chart the needs and resources of the Los Angeles inhabitants becoming a “survival guide” of edible and medicinal plants that have grown in Los Angeles since the city’s birth. This manifestation paints Los Angeles as a field of abundant life as opposed to an industrial wasteland. 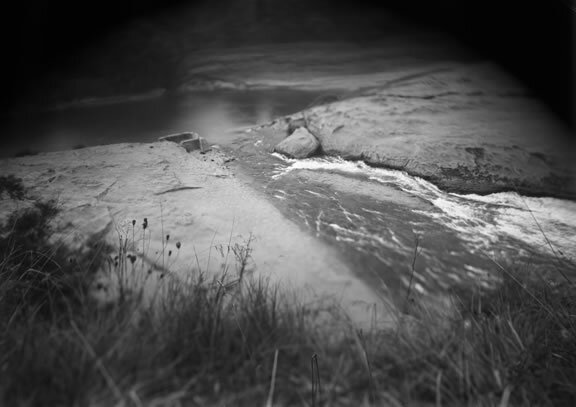 Sometimes she resides where the two rivers meet; Daguerreotype; 4 1/2 x 7 in. 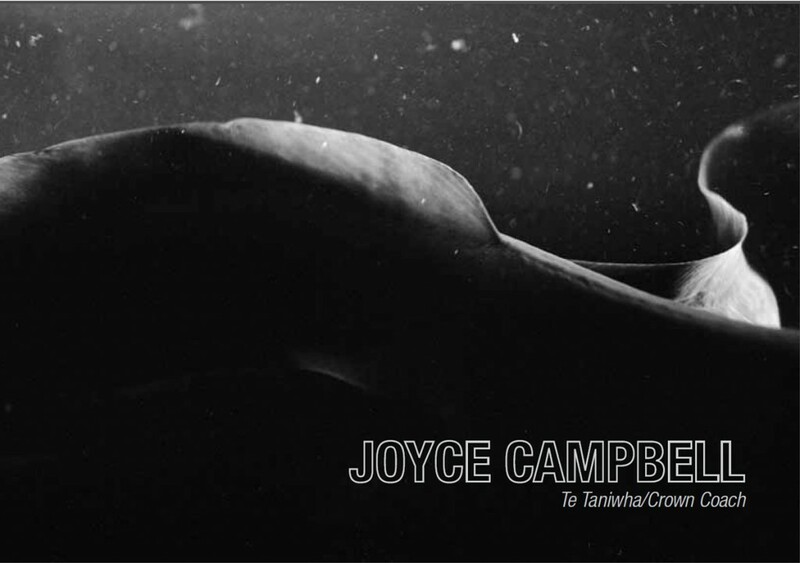 Bringing these two series of work together—Te Taniwha and Crown Coach—provides an opportunity to discuss the spiritual and symbolic connections between the two sites through the use of 19th century spiritual photographic techniques. And presents an opportunity to explore the relationship between sacred plants and traditions, land rights and access (public and private), both pertinent to Te Taniwha and Los Angeles. An Opening Ceremony, Powhiri (Blessing) will be performed by Maori native and historian, Richard Niania. Tuesday, September 25 at 2:45 p.m.
Panelists include: Edgar Heap of Birds, Cheyenne Arapaho artist and professor of Native American studies and fine arts at the University of Oklahoma; Leda Martins, associate professor of anthropology, Pitzer College; Stacey McCarroll Cutshaw, editor of exposure; and artist Joyce Campbell. The panel will be moderated by Bill Anthes, associate professor of art history, Pitzer College.